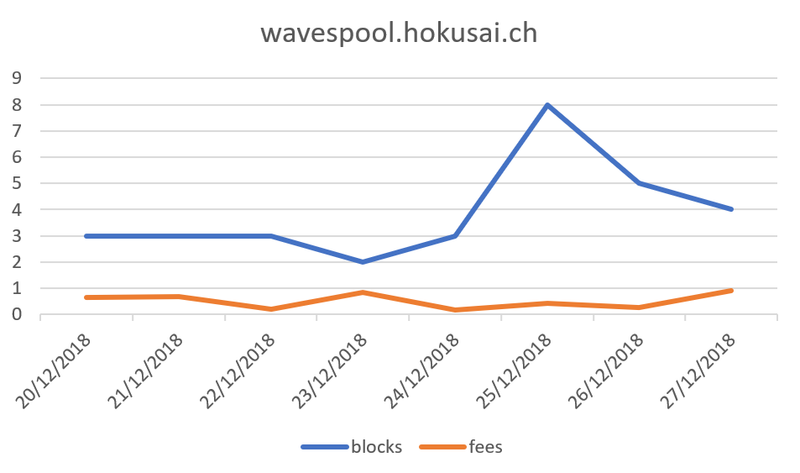 We just processed the pool’s fees from blocks 1243271 to 1253050, a total of 5.67552936 Waves and 278.83 MRT were paid to our leasers. We just processed the pool’s fees from blocks 1253051 to 1263330, a total of 2.753802 Waves and 338.79 MRT were paid to our leasers. i got nothing the last two payouts… why=??? 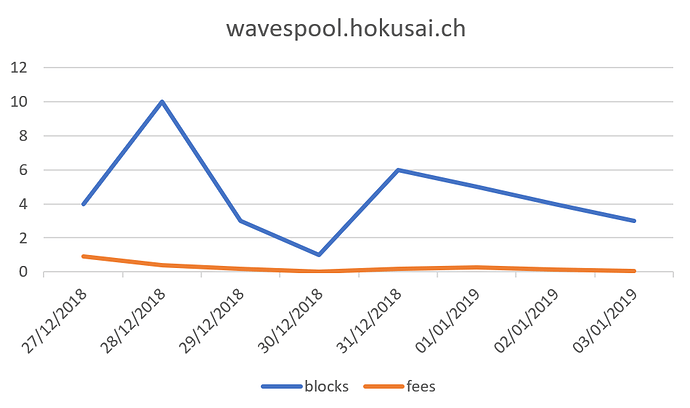 As stated in our payment policy the transfer fee will be subtracted from your earnings. 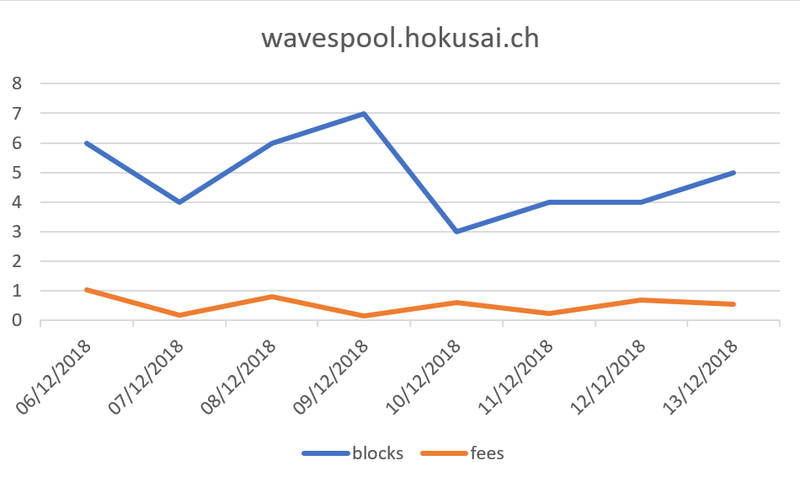 If your share is very small it’s possible that your earnings have not been enough to pay the transfer fees. 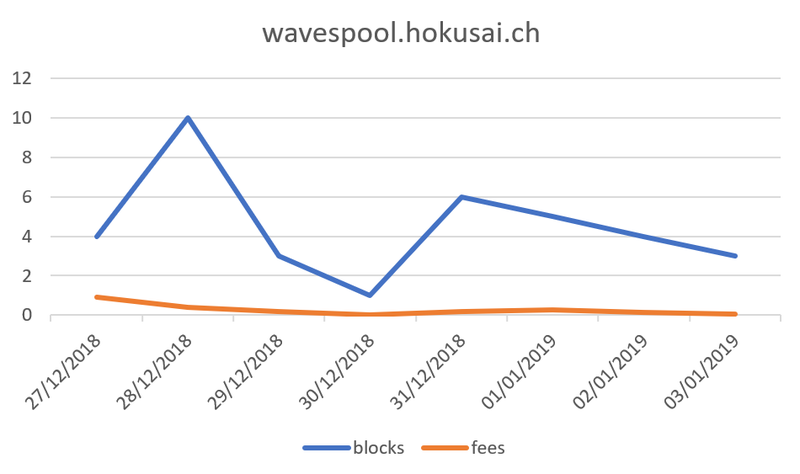 If you can provide your Waves address, it will be possible to verify if that was the case, or to troubleshoot anything that might have gone haywire with the payout distribution. 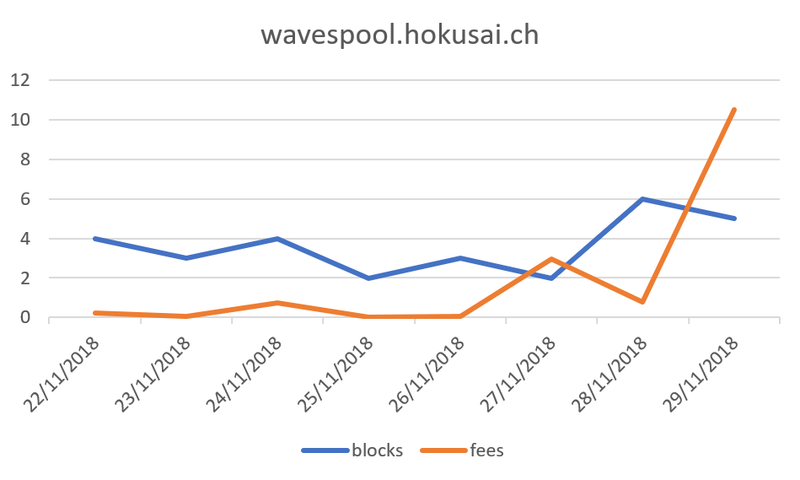 We just processed the pool’s fees from blocks 1263331 to 1273630, a total of 7.97642584 Waves and 284.94 MRT were paid to our leasers. We just processed the pool’s fees from blocks 1273631 to 1283840, a total of 15.18194081 Waves and 249.34 MRT were paid to our leasers. 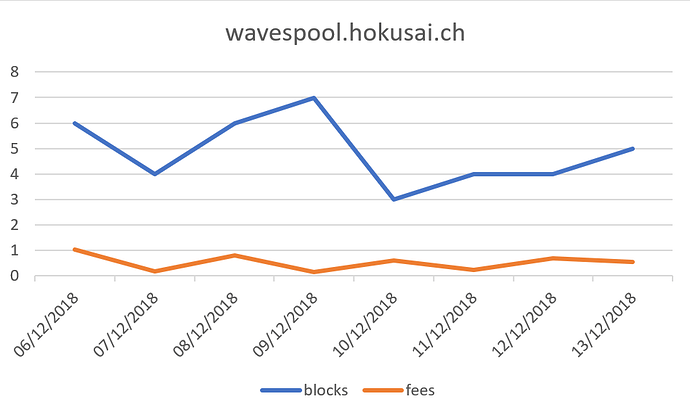 We just processed the pool’s fees from blocks 1283841 to 1293990, a total of 20.45025969 Waves and 430.61 MRT were paid to our leasers. 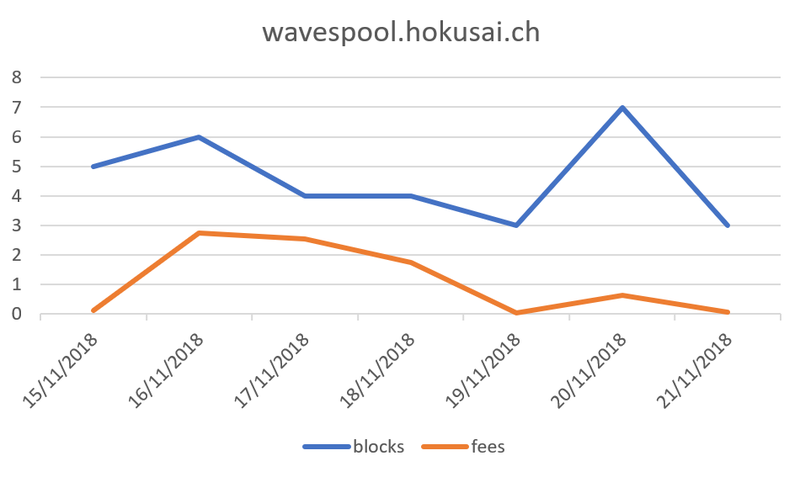 We have just upgraded to Waves node 0.15.3, excellent work from the Waves Platform team as usual! 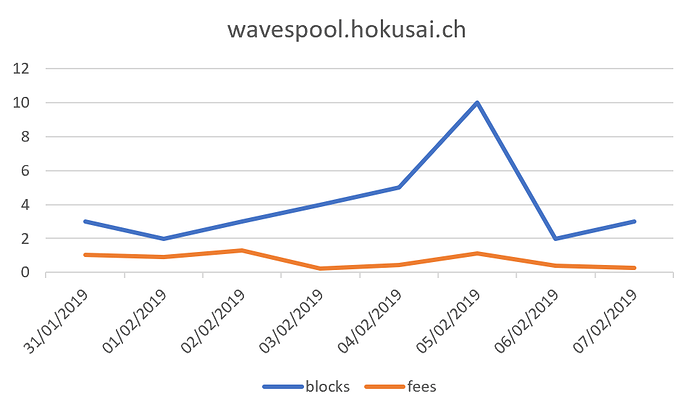 We just processed the pool’s fees from blocks 1293991 to 1304270, a total of 3.12006813 Waves and 358.57 MRT were paid to our leasers. We have just updated to Waves node 0.15.4 which is bugfix release. 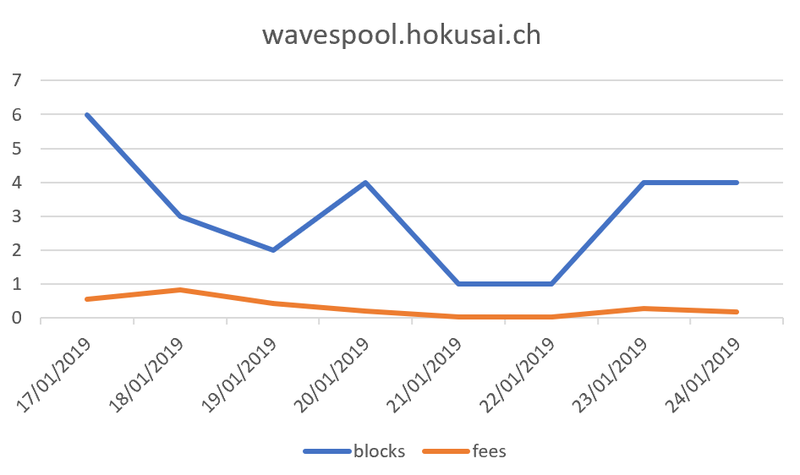 We just processed the pool’s fees from blocks 1304271 to 1314570, a total of 3.84123426 Waves and 338.8 MRT were paid to our leasers. 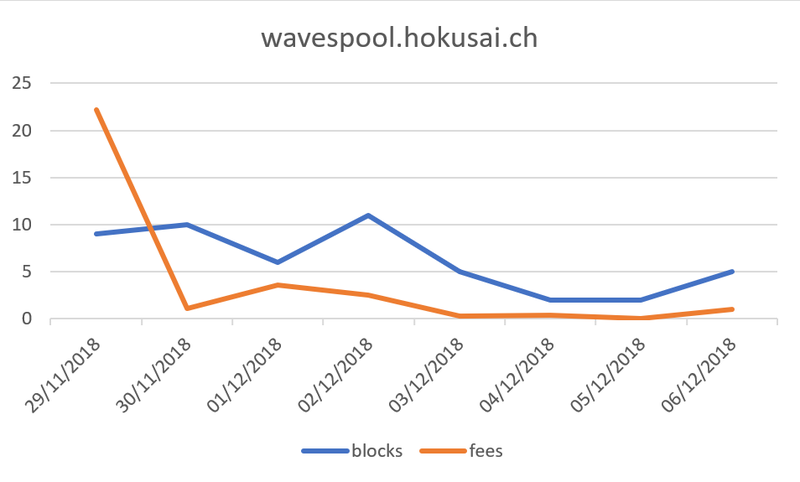 We just processed the pool’s fees from blocks 1314571 to 1324770, a total of 3.61591204 Waves and 285.64 MRT were paid to our leasers. 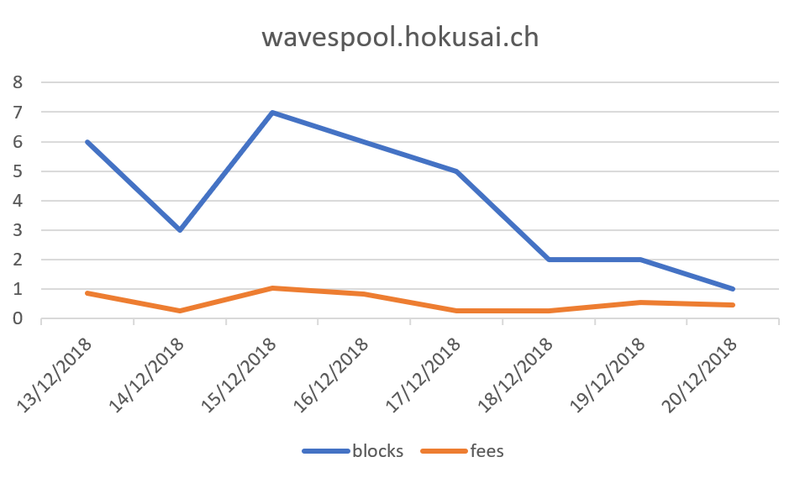 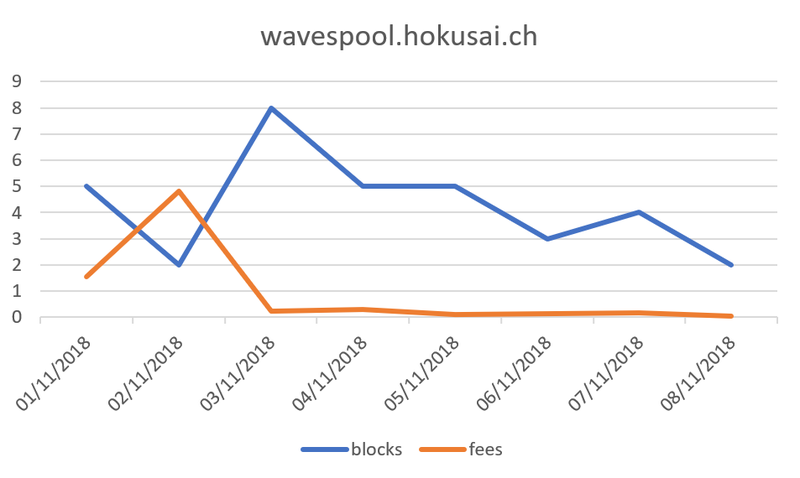 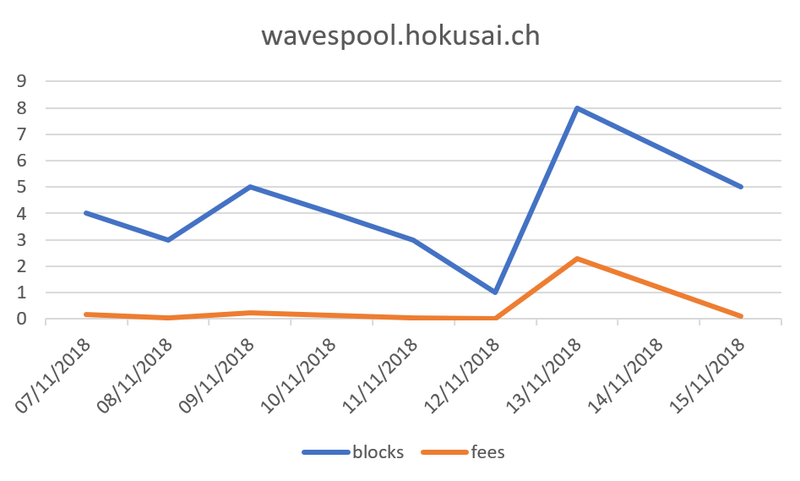 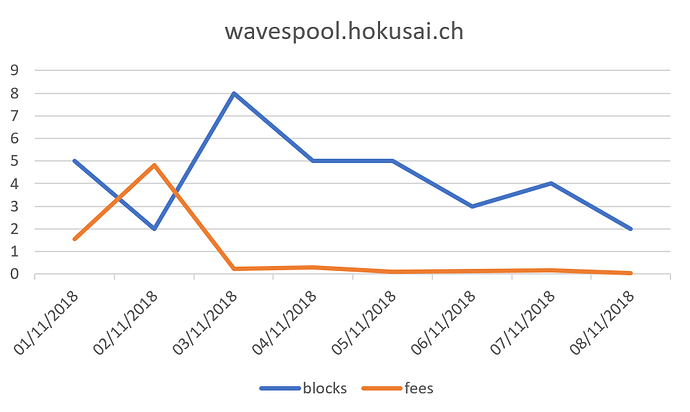 We just processed the pool’s fees from blocks 1324770 to 1335070, a total of 1.10216897 Waves and 303.77 MRT were paid to our leasers. 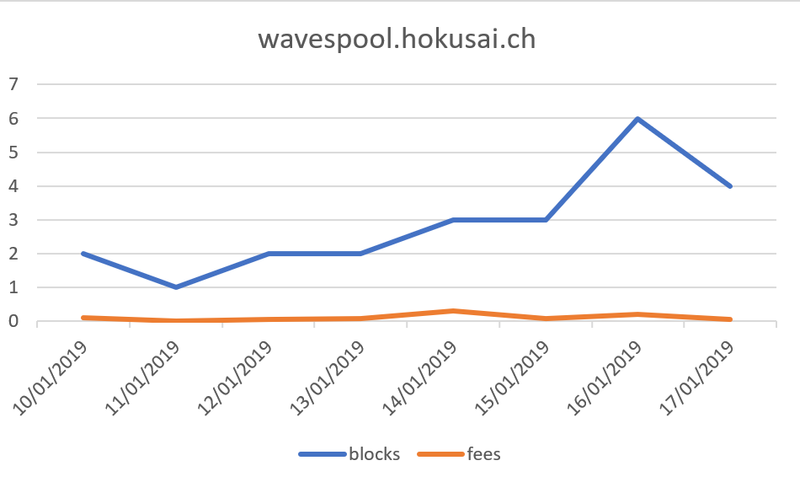 We just processed the pool’s fees from blocks 1335071 to 1343830, a total of 1.67877143 Waves and 274.94 MRT were paid to our leasers. 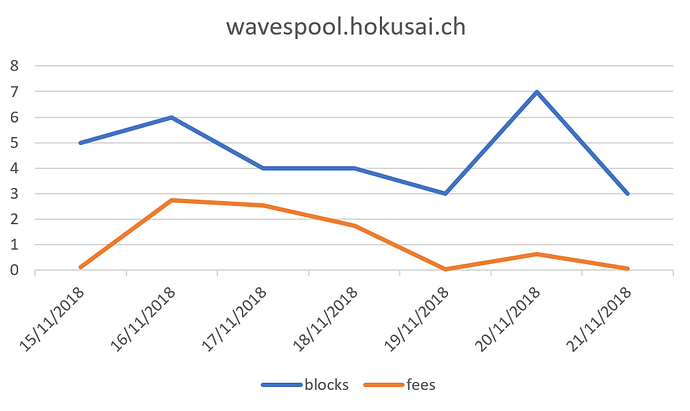 We just updated to the new Waves node version 0.15.5 (Mainnet). We just processed the pool’s fees from blocks 1343831 to 1355740, a total of 0.84077746 Waves and 285.94 MRT were paid to our leasers. 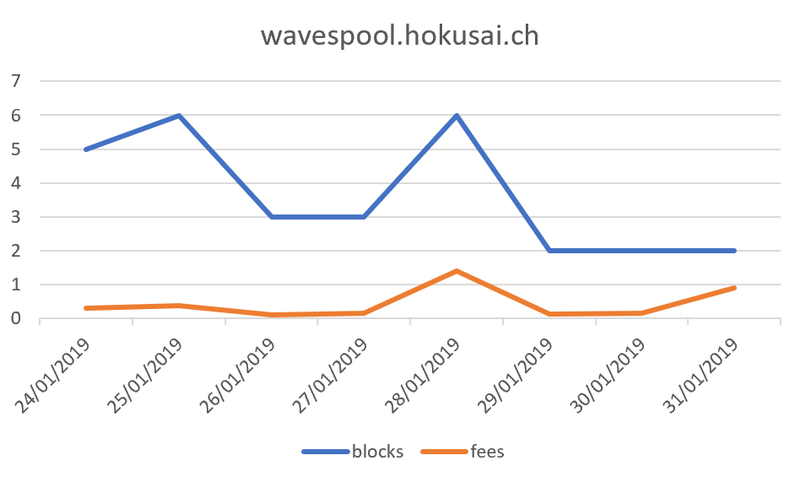 We just processed the pool’s fees from blocks 1355741 to 1365680, a total of 2.41831848 Waves and 285.94 MRT were paid to our leasers. 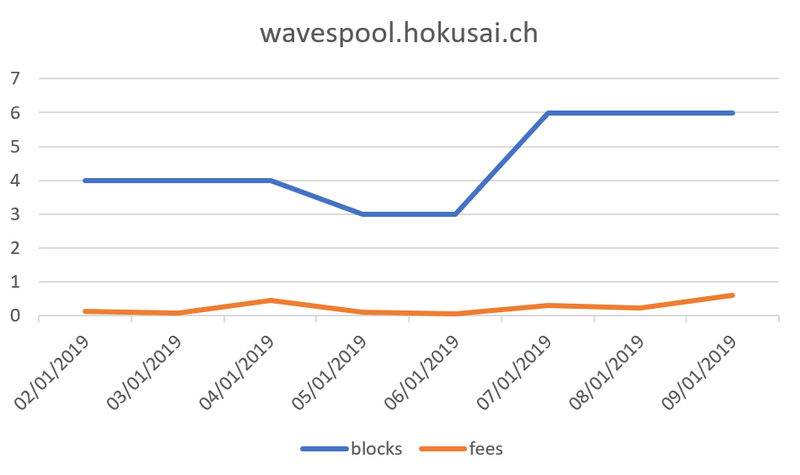 We just processed the pool’s fees from blocks 1365681 to 1375910, a total of 3.20202106 Waves and 262.22 MRT were paid to our leasers. 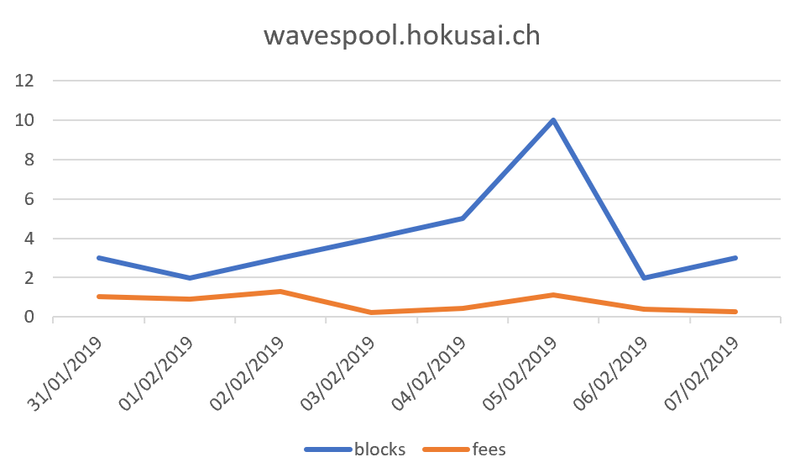 We just processed the pool’s fees from blocks 1375911 to 1386000, a total of 4.67580227 Waves and 282.8 MRT were paid to our leasers.